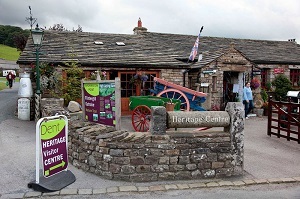 At the Dentdale Heritage Centre in Dent village visitors will find a wealth of information on the working lives and social customs of the Dales folk who inhabited this beautiful area in times past. The centre itself has been designed and built entirely by local labour on the site of an existing structure which once served as the petrol filling-station for Dent village. 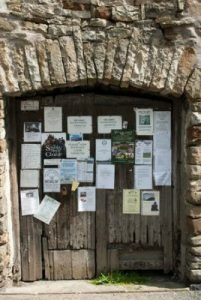 Most of the exhibits are of genuine Dales provenance, many collected and lovingly refurbished over the years by the centre’s founders, Jim and Margaret Taylor of High Laning Farm. The centre, which also contains a shop selling a wide range of locally sourced craft items and gifts, is open 7 days a week from 11am until 4pm. Refreshments are available from the centre’s cafe, with seating both inside and out.